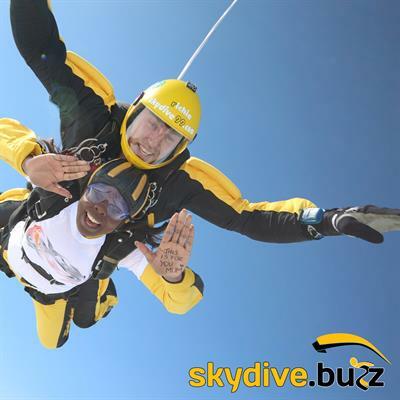 We have teamed up with Skydive Buzz to give you an adrenaline rush that you’ll never forget. Take part in our sponsored tandem skydive and raise vital funds to change children’s lives. The exhilarating freefall combined with the peace and tranquillity of the parachute ride makes tandem skydiving an experience you will truly never forget. With this option, you may only have to commit one day or even less and can walk away saying you’ve done something amazing. 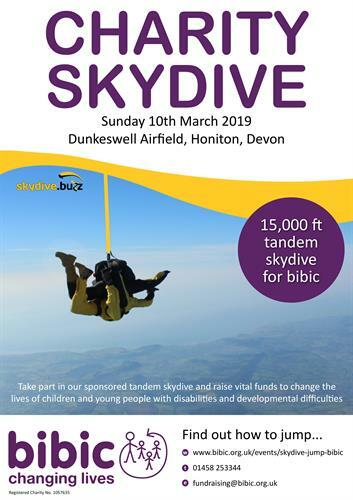 You will feel a buzz that can only be beaten by knowing how much of a difference your fundraising efforts are making to the hundreds of families that visit bibic every year. In short, everything you raise over £200 will go straight towards making a difference to the hundreds of families that visit bibic every year.